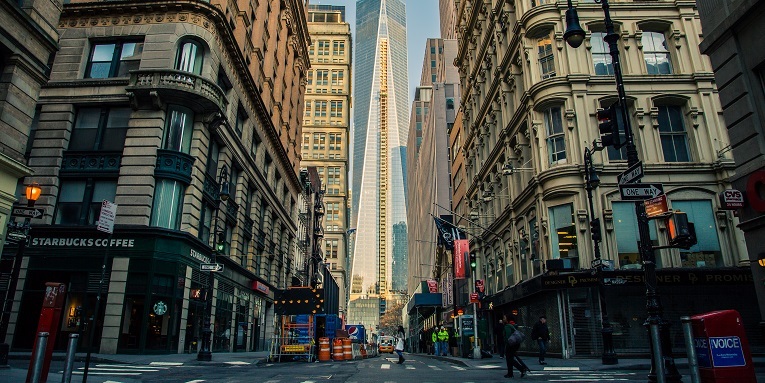 Will the US Define a New Generation of ERP Solutions with Dynamics GP 2016? Dynamics GP, for those in the UK and Europe who might not know, is Microsoft’s US-focussed ERP solution. In April this year, it will have its next release, so we thought it would be good to see whether GP is keeping up with AX and NAV, the ERP solutions that Microsoft is pushing hard to dominate the market. Is GP falling (or being left) behind the pack? Dynamics GP is a Mid-level ERP solution that operates primarily across the US, but it’s not unusual to find it being implemented in the UK, Europe, and the Middle East, too. As we’ve noted in previous articles, Microsoft has been keen to push its other ERP solutions – AX and NAV (in particular) – to ensure they are competitive in their respective markets across the world. This has meant for Dynamics GP is that yes, its user base remains strong and work does continue on revising the existing tools and adding new feature sets (more on this below). However, the Microsoft Dynamics team has shifted resources away from the team behind GP and reallocated it to innovating more in NAV and AX. An example of this was when Microsoft added a range of finance enhancements like Bank Management and Revenue and Expense Deferrals. This isn’t to say that Dynamics GP won’t feature at all moving forward in Microsoft’s plans for ERP in the US or elsewhere. In fact, the corporation has been laying out its commitment to the future of GP since September 2015. The main points are covered in their Roadmap, which you can see below. There are some great features coming to GP in 2016. A great example is the new web client; the existing one has been in use since 2012. The new web client won’t only be compatible with more browsers and devices (iOS, for example), but will also move away from the limitations of Microsoft Silverlight. While the features listed above are undeniably exciting for any potential user of Dynamics GP, they don’t go as far as NAV towards Microsoft’s “mobile-first, cloud-first” directive. While NAV is being showcased more and more as a Microsoft’s ERP posterchild, it’s becoming more and more apparent that GP is being left behind. It’s true, GP might be a leader when it comes to financial management capabilities, but with the rest of Microsoft’s ERP solutions heading towards ubiquity, it seems that GP won’t be transforming itself for 2016. Instead, the US’s primary ERP will continue to do what it’s good at. 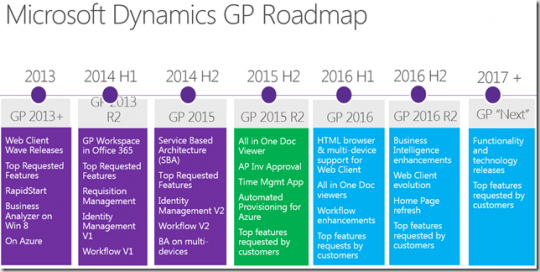 With its steady customer base and a development team that is slowly being dismantled, the long-term future for Dynamics GP might not be too rosy. What are your thoughts? If you’re a US Dynamics professional, visit Conspicuous. You can also get in touch with our specialist consultants in the UK and the US on +44(0)1483 233 000 and +1 646 878 6426 respectively, or email us on admin@conspicuous.com. Tagged: Dynamics GP 2016, ERP, Microsoft.